I’ve been a nurse for 22 years and have worked specifically with medically complex and special needs pediatric patients. 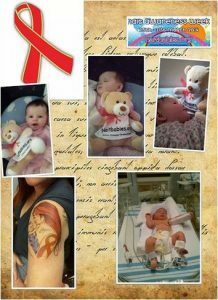 I’ve seen the rarest of the rare, yet I had never heard of Neonatal Alloimmune Thrombocytopenia until I had my daughter Jaylyn. My other 2 children were from another relationship and therefore were unaffected. In fact, after I had my 15 year old daughter, I was told I could no longer have children as I had struggled so greatly with fertility issues. I accepted and made peace with that so called fact. Fast forward to 6 years ago. I was in a controlling, abusive relationship I didn’t want to be in and I was at an age where the risks of complications and birth defects were high. Finding out I was pregnant was not a happy occasion. I have Meniere’s disease and had been on medications no pregnant woman should ingest. I had been exposed to vinyl chloride due to a train derailment, and had been at ground zero after hurricane Sandy and was exposed to who knows what prior to finding out I was pregnant. I considered my options and was manipulated into continuing the pregnancy. I kept it a secret from my friends and family for 4 months until it got to the point I could hide it no longer. My doctor suggested a chorionic villus sampling due to my “advanced maternal age” status. Everything was “normal” yet I just knew something was wrong. I was called everything short of crazy. I developed pregnancy induced hypertension and was put on bed rest. With 2 other children and a manipulative and lazy partner, not much resting went on. As my pregnancy advanced those fears that something was wrong grew. During a 36 week ultrasound, the tech discovered my daughter had ventriculomegaly. A clear indication that something must be wrong. She had another tech view the scan to confirm and they ran and got the neonatologist. He wasn’t bothered much by it and brushed it off. During a labor and delivery visit for increased contractions, they did my pre admission blood work just in case I was in labor. My Alkaline Phosphatase level was triple a normal level. After the obstetrician was finally convinced I wasn’t the raging alcoholic she accused me of being, she hopped on Google and came to the conclusion that it had to be my gall bladder and referred me to a surgeon…at 37 weeks of pregnancy and no symptoms of gall bladder issues. I was admitted for induction the following day. 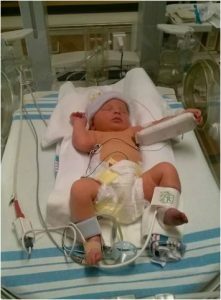 During active labor, Jaylyn’s heart began to slow to dangerous levels and the delivering doctor said the baby had to come out NOW. And so she did, after just a few minutes of pushing. And so did meconium, which she had aspirated. Due to the emergent situation I didn’t get a good look at her right away. When I finally did get to hold her she was all wrapped up and had her sweet little cap on, so she looked great to me, yet I still had that overwhelming feeling that something was wrong. I began hemorrhaging so they took her to the nursery to save me. They had given me some pain medication and they said they would bring my daughter back in a few hours. Those hours came and went. I had asked her nurse where my daughter was, and she lied and said she was getting a bath. 2 more hours went by, so I decided to walk to the nursery myself to take a peek in on her, perhaps she fell asleep and they didn’t want to disturb her. She wasn’t there. I found her nurse and she told me that my daughter was moved to the special care nursery and that the neonatologist was supposed to have come talk to me, and that she would page him and instructed me to return to my room. I went to the special care nursery instead, and boy was that nurse surprised to see me. She couldn’t or wouldn’t answer any of my questions. All she told me was that Jaylyn’s blood sugar was low and she was giving her glucose. Yet my daughter had an IV and an infusion of IVIG followed by platelets. Her glucose was low because she wasn’t allowed to eat until they ruled out a GI bleed, but again a nurse lied. The neonatologist finally did speak to me and I honestly don’t remember most of what he said. I heard “bla bla bla….NAIT…platelets are 13k…bla bla bla…platelets dropped to 7k…transfer to a hospital with a NICU…bla bla bla….” I asked him to write it down. I had never felt so devastated. I was alone in receiving and comprehending this news. The good news, or so I thought at the time, was that the ultrasound was normal and no bleeds were found. A transport team had arrived to take my daughter to a children’s hospital with a NICU. I on the other hand had to wait to be discharged. I had failed my post-partum depression screen because how dare I feel a little down after finding out my daughter may die, and is being taken away to another State after having only just moments with her. She had arrived to the NICU safely and after I was finally discharged, I broke every traffic law imaginable to be with her. She did stabilize and was discharged a week later with the expectation that she will be fine, despite feeding issues. But yet again, that fear of something being wrong lingered. Her right arm was tight and her hand was always fisted. Her paediatrician at the time said it was a normal newborn reflex. I was concerned about the fact that I could no longer produce milk because her latch was weak. I was concerned with the amount of formula she was losing out of the right side of her mouth. All of this was “normal”! As she grew, her right leg didn’t seem to develop as much as her left. Her then paediatrician suspected a fracture and threatened to report me to child protective services. After the unnecessary x-rays, we were referred to a specialist and endured a plethora of unnecessary tests to rule out a variety of suspected nothing. And then came the neurological issues like seizures and drifting eyes. After 8 months, her paediatrician finally ordered the brain MRI I had been begging for. 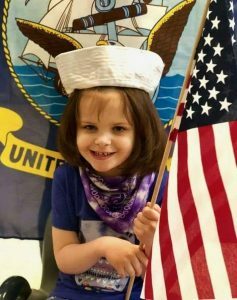 That “normal” ultrasound she had at birth missed a grade IV brain bleed, dysmorphic hippocampi, bilateral perisylvian polymicrogyria, and schizencephaly. Therefore the diagnoses of cerebral palsy and epilepsy were added to the list. She had 2 cases of aspiration pneumonia. During a failed swallow study, the suggestion of a feeding tube came up. However she was by this time beginning to eat solid foods and had been a great eater, so her weight was not a concern. That was until she got sick. She refused any food at all and I could barely get her to drink. Once her illness resolved, she began eating, so paediatrician was not concerned. And then she got sick again, and again. At this point I had switched paediatricians because once her diagnoses were confirmed, they placed the grimmest of expectations on her. She should be a vegetable. She will never walk. She will never talk. She may live past 4 if we are lucky…after telling me for months she was normal and I’m essentially crazy. Her new paediatrician promptly referred to a gastroenterologist. 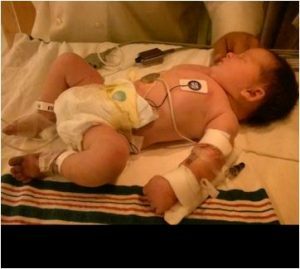 At this point, she was failure to thrive, labelled an aspiration risk and given a nasogastric tube until the surgery for a g-tube could be performed. The surgery was delayed due to yet another illness and the prolonged use of the nasogastric tube robbed my daughter’s desire to drink anything at all, and she barely ate. I escaped my nightmare of a relationship and everything else fell into place. 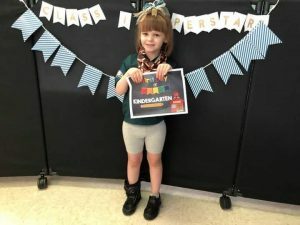 She was walking by age 3, she has amazing receptive speech, can approximate an extensive amount of words, knows sign language, is learning to read, is using a communication device, loves football, riding her bike and Polynesian dancing. Due to her other diagnoses, I can’t say for certain what her future holds, but she has certainly beaten odds and exceeded the expectations all those “experts” put upon her.